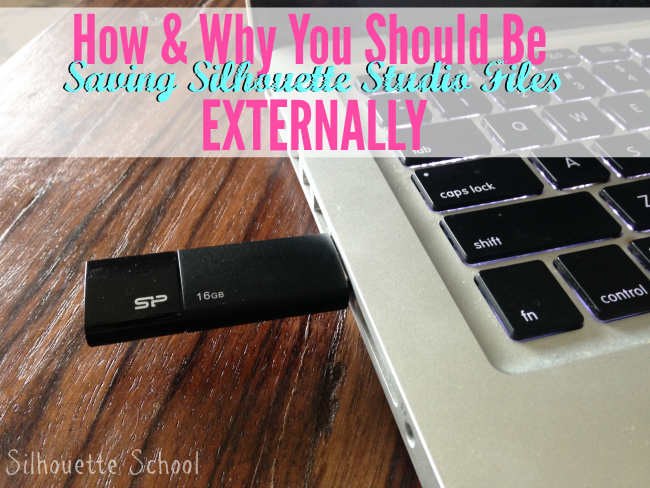 Saving Silhouette Studio files on an external hard drive and/or to a Cloud, rather than in the Studio library, is not only a good idea it's also really easy. Before I explain how to do it, let me explain why you may want to consider doing this. For one thing, putting your Studio files on an external hard drive or cloud is a good way to back them up in case you ever lose your library. It's also beneficial in that it helps the Silhouette Studio software start up faster (did you ever see the file count as it loads??) and in some cases may keep it running smoothly - and without lag - during use. 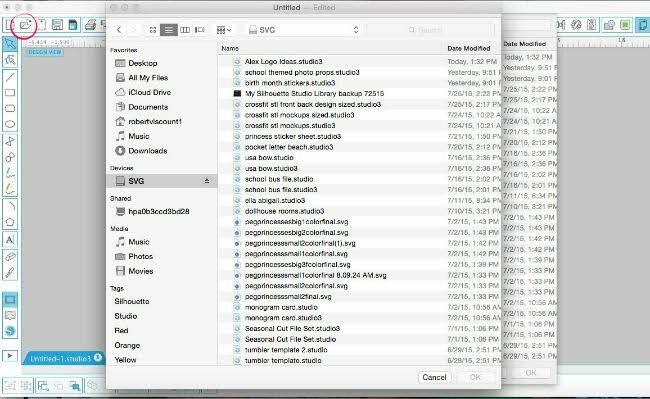 In addition, updates to files saved externally can also be easily saved without having to create an entirely new .studio file. 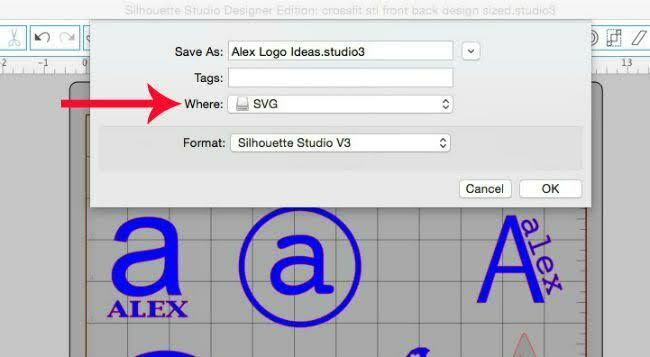 Changes made to files in the Studio library are not saved unless you create an entirely new file. Deciding which files you save to your library and which you save externally is up to you. I tend to keep smaller design elements in my library and full designs and those I don't use very often saved externally. 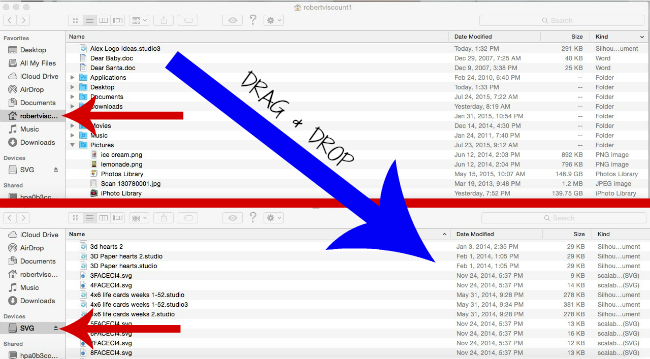 Saving externally is as easy as File > Save As...and then naming the file and location of where to save it. You can save the files to your computer's hard drive, but they can take up a decent amount of space. Recently I moved all of the files .Studio and SVG files I had on my computer's hard drive onto a thumb drive. I purchased this three pack of 16GB USB Flash Drives. From my MAC it was as simple as plugging in the drive and opening up two Finder Windows. Finder > File > New Finder Window. Repeat. On the first window I selected HOME and sorted the files by type. Then I selected all of the SVG and all of the Studio files (I had already moved all of the files when I realized I should have done a tutorial on this - so I only have one Studio file on my hard drive right now). In the second Finder window I selected the drive and then and dragged and dropped all of the files from the computer's hard drive to the external drive. Windows user check out this post on how to transfer files from the computer to a USB drive (use Method 2 of 4). Depending on how many files you have this could take a few minutes to an hour. Once they were all safely on the thumb drive you can delete them from my hard drive. Between the time I originally wrote this post, but before it went live on the blog....You may have heard my screams when I realized one of the USB drives I had saved to was corrupted. Only about 10% of my files on the drive could be accessed. This, my friends, is why you need a back up to a back up - hence the cloud. 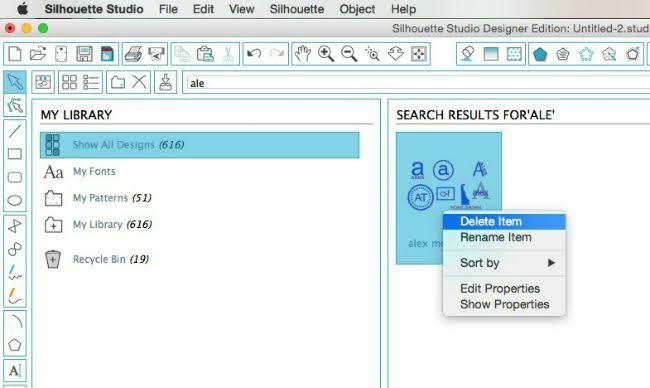 Whether you save to Dropbox or Google Drive (both offer free cloud storage) or soon the Silhouette Cloud, be sure you're saving your designs in more than one place externally!! Boy am I glad I also save to Dropbox! To open and use files on the thumb drive in Studio, I just need to plug it into my computer > Open Silhouette Studio > Open icon > Navigate to the drive > Select the file > Open. If I make changes to the file and want to save them simply hitting the "Save" icon along the top will save the new changes to the original file. To save the entire Silhouette Studio library to the jump drive check out this tutorial, but know that you won't be able to access individual files this way from the drive. 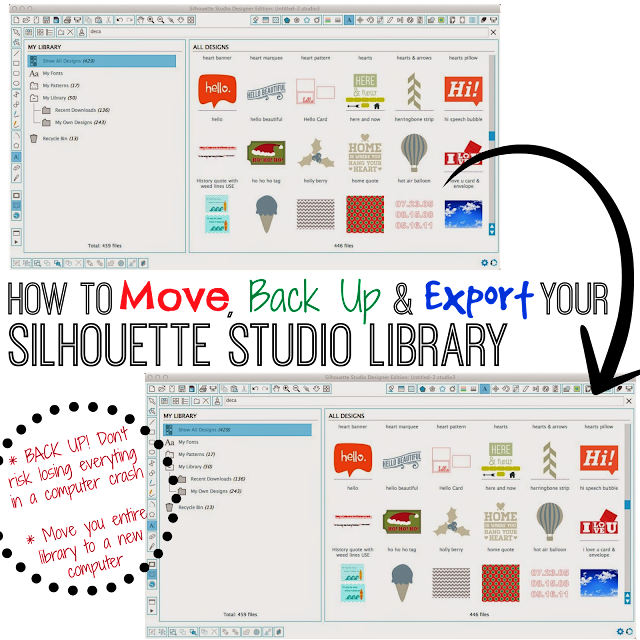 This is simply a way to backup, export and save the files in case of a computer crash or move. Along with my SVGs and Studio files, I saved a backup up copy of my library to the USB drive as well. This is why you should never trust a flash drive to back up your files. They are great for transferring files from one place to another, but if you want a reliable backup get an external hard drive. 1TB or 2TB drives are not that expensive these days. I might trust cloud storage for accessing my files from anywhere, but not as my primary backup. Do you really want to trust your data to some external company that may have a server crash? All my files are on a portable external hard drive. That way, when I am away from my desktop, I can work on my laptop and have all files available. I generally don't use flash drives as I have had several fail in the past. Also, I back up my external hard drive just in case! What's the method when you have Windows instead of Mac? It is good for Mac users, how about a tutorial for us Window based PC users?? ?